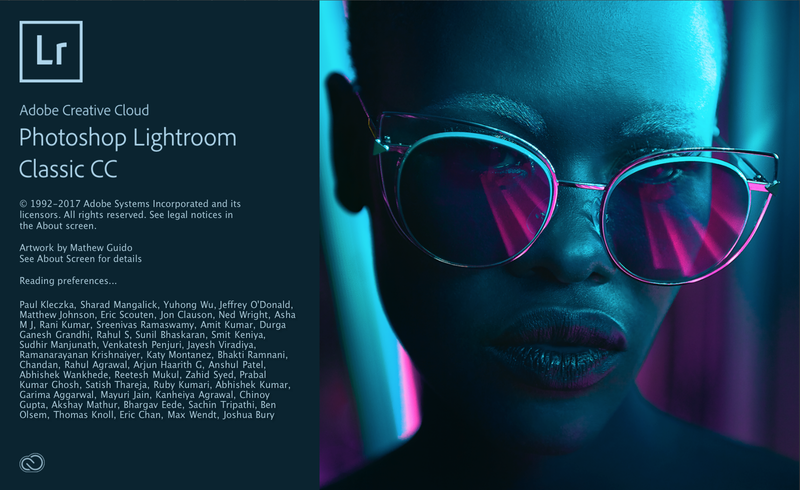 Adobe today announced a new cloud-based Lightroom called Lightroom CC. The current desktop-based app you know as Lightroom is being rebranded as Lightroom Classic CC. Lightroom Classic will be desktop-oriented, while Lightroom CC will be cloud and mobile focused. With the cloud-based Lightroom, Adobe is pushing its app ecosystem further into the cloud to allow for editing, organizing, storing, and sharing photos from any device, anywhere, while on the move. This may seem like a really boring update for some BUT it is actually a long-overdue update and I promise you will notice a difference. I noticed a huge difference in speed when moving between modules (think Library to Develop)! I noticed a big difference when just scrolling through images. You can get even faster response times when scrolling through images if you choose the “Embedded & Sidecar” option when importing new images. One of the other places that I noticed an improvement in quickness is when using brushes and filters. I feel like I see changes more immediately and have much less lag when brushing. This is probably the best new feature available in this new update of Lightroom Classic (I am still getting used to this). I think this feature is easier to SEE rather than have explained to you so make sure to watch the video below. This new feature is available in the Adjustment Brush Tool, Radial Filter Tool, and Graduated Filter Tool. It is designed to help you refine where these tools apply based on either the color or luminance (think of this as brightness) information in the selected area. For instance, in the past when you applied a Graduated Filter or Radial Filter, the changes were applied in either a circle or line depending which tool you chose. However, very little in images is perfectly round or perfectly straight. The new Range Masking tool allows you to refine how the Adjustment Brush, Radial Filter and Graduated Filter tools based on the color information inside the radial filter or graduated filter. Adobe Lightroom CC and Classic CC are now available through 3 different photo-oriented subscription plans. The Creative Cloud Photography Plan includes both of them, Photoshop, and 20GB of storage for $10 a month. If you only need Lightroom CC and storage, you can subscribe to Lightroom CC and 1TB of storage for the same $10 a month. For all photo apps and 1TB of storage, you’ll need to pay $20 a month.